Did you hear? The American Academy of Pediatrics updated their recommendation for rear-facing car seats. The updated recommendation has children remain in a rear-facing car safety seat as long as possible, until they reach the highest weight or height allowed by their convertible car seat, which for some kids will be age 3 or 4! 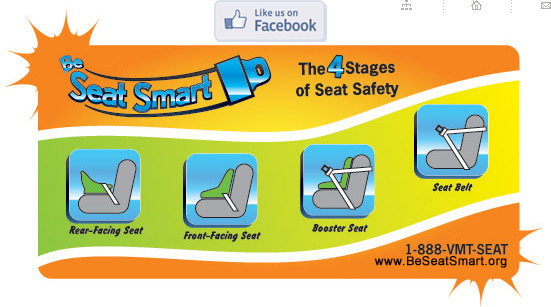 If you have questions reach out to your local tech or the Be Seat Smart program! There’s nothing more important than keeping our children safe. Although every year children are injured or killed in car crashes, proper use of child safety seats can help keep our children safe. As a parent, you may find it difficult to sort out conflicting or confusing car safety seat information as your child develops and grows. 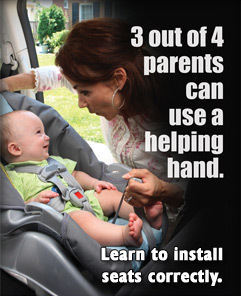 Child safety seats work best when used correctly. But how do you know what’s correct? Vermont’s child safety seat law defines age limits but not weight and height. It also states that a child must be "properly" secured in the vehicle. For example, you may believe your 8-year-old daughter is big enough to graduate from her booster seat because of her age. How do you know for sure? Your daughter may be small in stature and when you put her in the car's seat belt the shoulder belt rides up on her neck. This means that she is improperly secured and she should stay in a booster seat longer. 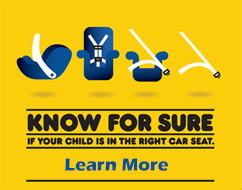 Vermont's Child Passenger Safety Program is designed to draw attention to the importance of child safety seats and to help parents understand the 4 Stages of Seat Safety that every child progresses through. See which stage your child is in below and find out how to buckle your kids in their car or booster seat safely. Certified safety technicians are available to help you at free special Child Safety Seat Checks and Fitting Stations throughout Vermont. We also run Traveling Safety Seat Inspections - find out when we will be in your area!